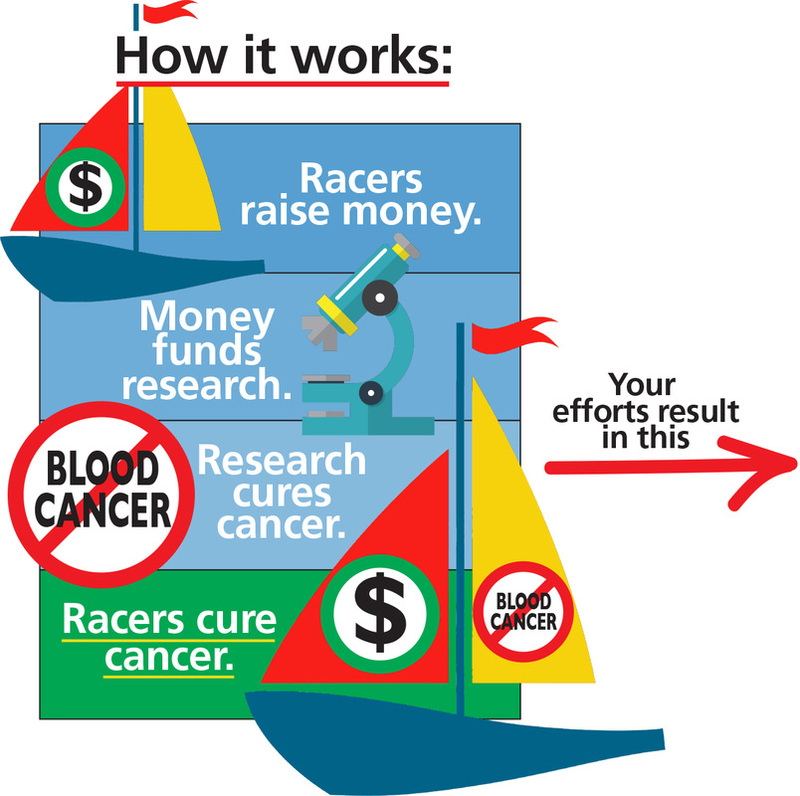 Join Chicago-area yachtsmen in the fight against blood cancers. Chicago's Leukemia Cup Regatta Organizing Committee is looking for NEW BLOOD to help plan and run our events. Volunteer for Dock Dash, Poker Run, Red Sky Night or Leukemia Cup - it's up to you. We've got jobs in all sizes and no yacht club affiliation is required. Loads of fun guaranteed! Click the link to join the team that has raised over $5.3 million locally for blood cancer research. Bullets. Brag Flags. A Cure for Cancer. Sign up today for the most fun--and most important--race of the summer. Dedicated circles for serious racers, easier courses for cruisers who want to raise funds and compete. Captains and crew can work as a fundraising team or on their own. Don't race on a boat? Sign up as an individual participant and you're still eligible for our fantastic incentives. Since 1997, Chicago area yachtsmen have participated in the Leukemia Cup Regatta every August. In that time, local sailors have raised more than $5.3 million for the Leukemia & Lymphoma Society. Sign up today to begin your campaign and join the fight against blood cancers. In 2018, Chicago's total was $534,624, earning us Second Place in national Leukemia Cup fundraising for the third year in a row. Our goal is to top 555 million dollars this year. It's a lofty number, but with effort, we can do it. Patients and their families are counting on YOU to help! CAPTAINS register your boat today and start your fundraising. Encourage your crew to set up their own fundraising pages, as well. If every boat had 100% participation in fundraising, we could increase our bottom line by as much as 40%. CREW MEMBERS can register and start fundraising even before their captain has signed up for the race. Get the jump on the competition and start your campaign today. INDIVIDUALS are welcome to fund raise even if you don't have a boat or currently race on one. You can register and enjoy all the same prizes and incentives as those out on the race course. It pays to fundraise! The full selection of 2019 incentives will be announced shortly. Until then, CLICK HERE to check out 2018's amazing array of fundraising incentives. The Leukemia & Lymphoma Society relies on event partners and sponsors to ensure the discovery of cancer research innovations, cutting-edge drug therapies and cures. In the last 60 years, the survival rate for many blood cancer patients has doubled, tripled and, in some cases, quadrupled. More than one million Americans currently battle blood cancers. Every four minutes, someone is diagnosed; they are men, women and children of every age. Everyone who takes part in Summer of FUN(d) events helps to save lives in a real and direct way.